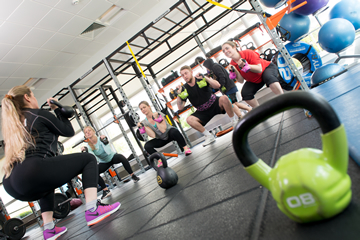 There are so many different gym-based activities at Hertfordshire Sports Village, you'll never be short of options! 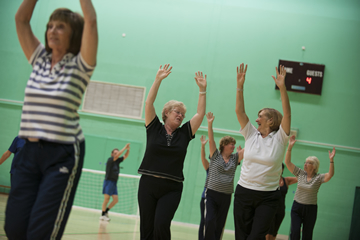 We run over 60 group exercise classes, meaning that going to the gym doesn't have to be done alone. Whether its strength-based, dance, combat or mind and body, you'll find something that suits your needs. Our amazing program caters for all abilities, ages and fitness goals. Blast your entire core in just 30 minutes. Designed to get you fit and ripped whilst having fun! 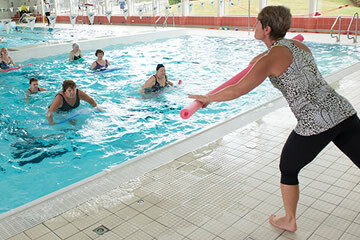 A fun and challenging aerobic workout in the swimming pool to music. Less stress is placed on the joints compared to land based aerobics, which makes this class ideal for those who prefer a low impact workout. This fun workout uses a combination of postures inspired by Ballet, Yoga and Pilates. 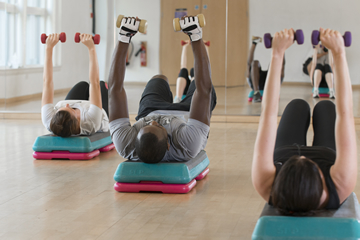 Use the barre as a prop to balance whilst exercising to strengthen lots of muscle groups and your core. Improve posture and flexibility in this low impact class. Work to the max with this all over body workout! Interval training with a mixture of cardio exercises and weights. Defend yourself! A fun and intense cardio workout using pads, mitts and gloves. Jab, cross and hook yourself around a fun, innovative way to train! This aerobic HIIT class is designed to give you an all over full body toning and aerobic experience. Suitable for all levels of ability and experience, we will provide options for everyone to make it harder or easier with clear goals for you to progress. A cardio workout on the bike to get you sweating followed by a conditioning focus on the abs. You'll burn calories and create strength and definition in your abs! 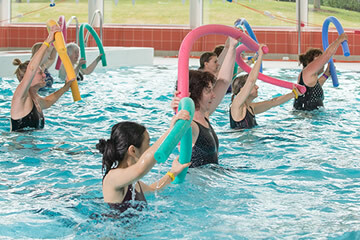 Use floatation belts to aid buoyancy while you use movements in the water to give you a fun and effective aerobic workout. Great for all abilities and those with injuries. Ever wondered what the stability balls you see are for? Use these to focus on strengthening the muscles which make up your core and support your body through movement. Create a stronger core, improve posture, and prevent back pain. These classes are aimed especially for the over 60’s or anyone that has been referred by their GP. Fully qualified instructors will go through exercise routines at a slower pace taking into account mobility, injury and health issues. Get ready to sweat and burn some serious calories! 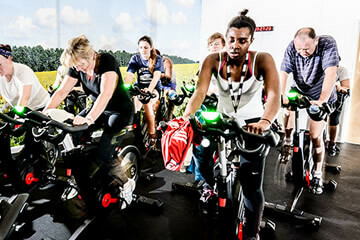 Get your pedal power game on and destroy that resistance – you’ll feel like a warrior when you’re done. Slow controlled flowing movements, primarily to strengthen the core muscles that stabilise & support the spine. It brings the mind & body together, focusing on breathing & balance, whilst realigning the body & correcting posture. Slow controlled flowing movements, primarily to strengthen the core muscles that stabilise & support the spine. It brings the mind & body together, focusing on breathing & balance, whilst realigning the body & correcting posture. Suitable for the over 50s. Blast your entire core in just 30 minutes. The perfect workout if you’re short on time to help you achieve those dream abs! 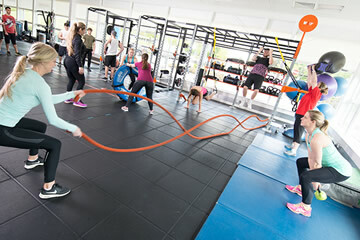 High Intensity Interval Training (HIIT) is a great way of burning fat in super quick time. A circuit style class designed to get you feeling the burn in just 30 minutes. This 30 minute action-packed Kettlebell class will build core strength and improve muscular endurance. 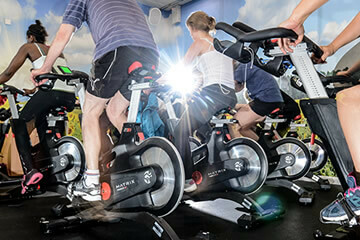 Working every major muscle in your body whilst providing an intense metabolic workout for burning fat, you will feel and notice the difference in a short space of time! Hit all the trouble spots in just 30 minutes in this fun, motivational quick workout class on the gym floor. Get those legs, bums and tums in shape and achieve the body you’ve always wanted! 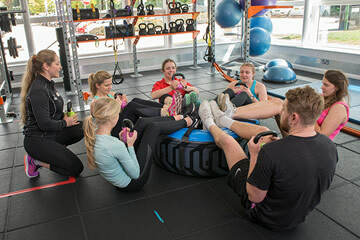 Quick 30 minute classes designed to help you improve flexibility, core strength, mobility and balance – all important aspects of fitness to help you carry out daily activities whilst improving training performance and reducing the risk of injury. With short bursts of different exercises this is a great all round workout. Increase fitness, burn calories, tone up & increase strength! Push your boundaries with this total body, heart pumping, aerobic and strength conditioning workout. This interval-based class combines full-body strength training with high intensity cardio bursts designed to tone your body, improve your endurance and clear your mind before you start your busy day. A fun, challenging workout that will define your muscles and shape your physique. 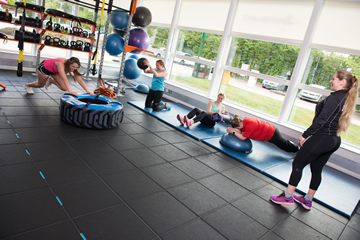 Total Tone uses weights, balls, bands and tubing to target key areas and ensure the body is functionally strong. Dance to great music, with great people and burn loads of calories without even realising. Mixing low and high intensity rhythm moves to Latin infused dance routines. Amazing fun! 1: All staff (I have met) combine excellent personal and professional skills - they take a personal interest and are always very friendly and eager to help, support, give advice. 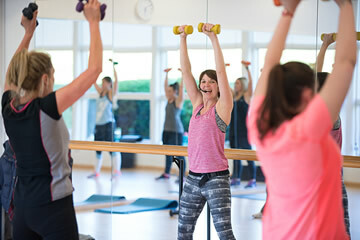 2: The place is exceptionally clean and tidy and the facilities excellent - the gymnasium, the swimming pool, the studios, the sports halls, club DeHavilland. 3: I attend four very different classes - all are excellent and the leaders combine a captivating enthusiasm with a professional knowledge and expertise.